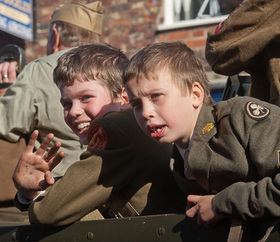 Pickering 1940s Wartime Weekend, World War 2 re-enactment. A full PDF of the program of events can be found here. 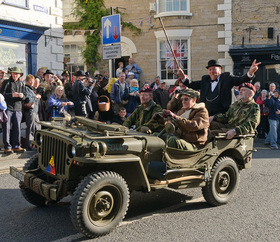 Whether you want to dress up in period costume and get involved, or just do some sightseeing, it’s an excellent festival and fantastic fun for the whole family. 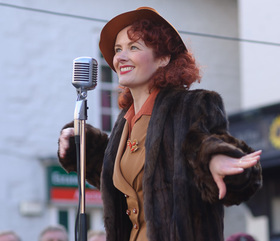 Why not sign up to our newsletter, on the HOMEPAGE screen, to be the first to find out about the 1940's weekend and other exciting events in the town. Parking in Pickering is extremely limited so we run a Park and Ride scheme at Cedar Barn. Cedar Barn is on the A170 between Pickering and Thornton le Dale. 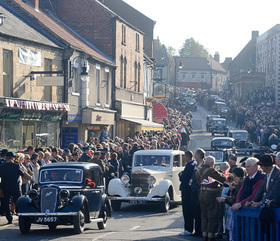 Three buses will run all day shuttling people between there and Pocklington carpets in Pickering. The cost is £2.50 per person return.